How to Pass USMLE Step 3 in First Attempt? Welcome to BEST in USMLE Step 3 preparation! How to Ace USMLE Step 3? If you have done above average on your Step 1 and Step 2 CK, then Studying by yourself under professional guidance is best. My suggestion is to go with the best tutor that you can afford...keeping in mind that expensive tutors have more experience whereas cheaper ones are less experienced! Try searching for best usmle step 3 tutor and call the top 3 and try free sessions get pricing information and then decide! Best USMLE Step 3 Tutor with the most experience with One-on-One Step 3 Review Course with the best success rate would be your best hope of passing Step 3. Don't fall for the guaranteed pass programs...no teacher or mentor can guarantee you a passing or good score on Step 3 but your hard work under experienced guidance. So, steer clear from any program guaranteeing success or money back...if you do not need anymore Step 3 failed attempts! You should go with the best most experienced Step 3 tutor! Ask if you could talk to some previous successful Step 3 students before you make a commitment and then follow any advice wholeheartedly and keep a positive outlook and be willing to change..knowledge, study methods etc..in order to pass the last hurdle...in order to get licensed as a doctor! Thank you for choosing the best usmle tutor for Step 3! 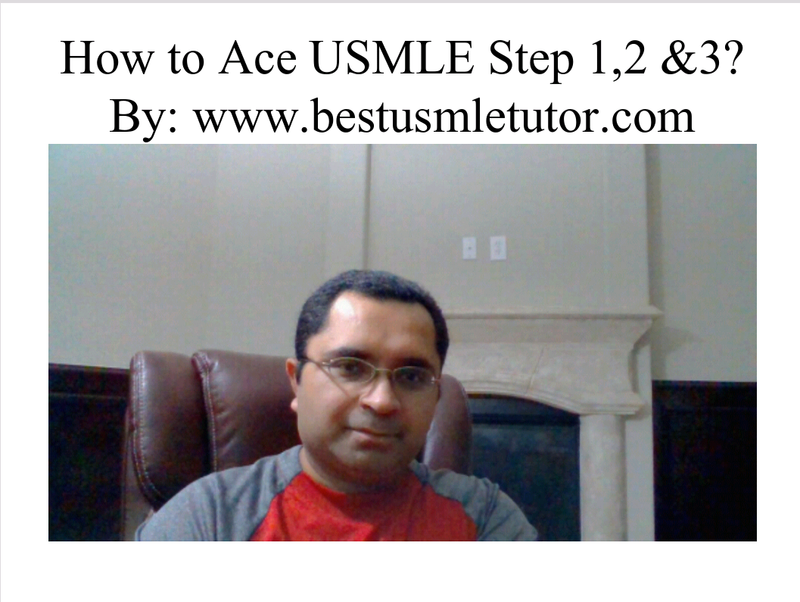 Tips and Strategies for Acing USMLE Step 1. By BEST USMLE TUTOR. How to Crush USMLE Step 1? How to score a 270 on USMLE Step 1? How to score High on USMLE Step 1? What is the BEST REVIEW COURSE FOR USMLE Step 1? Which Books are the BEST for Acing/ Crushing/ scoring high on USMLE Step 1? Most IMPORTANT USMLE STEP 1 QUESTIONS Answered by BEST USMLE TUTOR. IF YOU HAVE MORE QUESTIONS FOR US, PLEASE CALL US AT 8034935573 and We will be More than Willing to Answer them for YOU. 1) WHAT HAS MCAT SCORE GOT TO DO WITH MY USMLE STEP 1 SCORE? Try to do well on MCAT (35 and above) and get into a US Medical School. If you can't get into a US Medical School then try to get into a top tier Caribbean Medical School. MCAT score reflects your language skills, understanding of the Physical, Chemical and Biological Sciences and your Standardized Test taking Skills. .. which are Critical for ACING USMLE Step 1. 2) HOW TO UNDERSTAND EACH QUESTION EXACTLY THE WAY THE QUESTION WRITER INTENDS YOU TO? USMLE Question Writers are experts in their particular fields and write these questions in a manner such that anyone who knows English language and the topics covered in that question well enough should be able to easily narrow down to the possibility of one and only one correct answer to that question. Begin by working on your medical vocabulary by learning the Latin, Greek, and English roots, prefixes, suffixes and combining forms. You may ask WHY? CLEARLY because PERCEPTION becomes REALITY...Most students tend to do bad on Standardized tests such as USMLE Step 1 because of poor grasp of Medical, Biological, Chemical, Genetics.. terminology which triggers a misunderstanding of the question stem as we unconsciously completely ignore the words we don't know, and the ones we don't know well enough lead to misunderstanding the clinical scenario presented and CLEARLY leads to the unavoidable selection of the wrong answer or the inability to narrow it down to the right answer. . BECAUSE you didn't have a fighting chance... So.. We HIGHLY RECOMMEND that you learn and ace the Medical LANGUAGE as the FIRST Step to UNDERSTANDING and Learning the Art and Science of MEDICINE. 3) HOW TO NEVER RUN OUT OF TIME ON USMLE 1? The Human Brain has a very powerful filtering mechanism when it comes to processing and retaining information. Trust and believe that Medical field will require you to retain a lot of information very quickly and each clinical vignette on USMLE Step 1 will have a lot of information which you will be required to process in a very short period of time.. you will not have time to read the questions twice. . So, you must be able to understand the question fully in the very first and very quick read and be able to come up with the answer that exactly answers what's being asked. Inability to do so WILL result in RUNNING OUT of TIME on the Step 1. 4) HOW LONG SHOULD IT TAKE FOR ME TO PREPARE FOR USMLE STEP 1 in order for me to ACE it? WHAT IS THE IDEAL PREPARATION DURATION FOR ACING USMLE STEP 1? Well it depends whether you went to a US, Caribbean, or an International Medical School and how well you did in school. For most US Medical School students it should take 4-6 weeks of solid preparation. For most Caribbean Medical Students it should take 2-3 months for Step 1. For most International Medical Graduates it should take 3-4 months for Step 1. 5) WHICH BOOKS SHOULD I READ for ACING USMLE Step 1? First Aid for the USMLE Step 1 for an overall review. High Yield Gross Anatomy, Embryology, Histology, Neuroanatomy, cell biology, and Genetics. BRS Physiology and Behavioral Science. WEBPATH (Free Online Website) for Pathology. Medical Microbiology made Ridiculously Simple. 6) WHICH QUESTION BANK IS THE BEST AND MOST SIMILAR TO THE REALITY QUESTIONS FOUND ON USMLE STEP 1? NBME SELF ASSESSMENT TESTS Are undoubtedly the #1 (BEST). The newest ones are the best reflectors of your actual USMLE Step 1 SCORE. USMLE WORLD and Kaplan are considered #2 and #3. 7) WHICH USMLE STEP 1 REVIEW COURSE IS THE BEST FOR ACING USMLE STEP 1? CLEARLY it's the BEST USMLE TUTOR'S USMLE STEP 1 REVIEW COURSE because of its flexibility, ease of access and best individual Student attention and USMLE STEP 1 success rate. Tutoring provided by the BEST USMLE TUTOR Dr. Harish Malik. 8) HOW DO I ENROLL IN THE BEST USMLE TUTOR USMLE STEP 1 REVIEW COURSE AND HOW LONG DOES IT TAKE TO PREPARE FOR USMLE STEP 1 AT BEST USMLE TUTOR AND WHAT IS THE COST?
. ENROLL BY CALLING BEST USMLE TUTOR AT (803) 493-5573.
. FLEXIBLE LIVE ONLINE 6 WEEK, 8 WEEK, 12 WEEK AND 16 WEEK USMLE REVIEW COURSES ARE AVAILABLE. $40/hour/student for >20 students together (maximum online classroom capacity of 200 students at a time).
. Most USMLE Step 1 Sessions are scheduled for a minimum of 2 hours/day and a maximum of 4 hours/day. 9) HOW DO I PAY FOR BEST USMLE TUTOR'S USMLE STEP 1 COURSE? ALL SESSIONS ARE TO BE PAID IN FULL VIA PAYPAL (YOU CAN USE A CREDIT/DEBIT CARD and DO NOT NEED TO HAVE A PAYPAL ACCOUNT) THE TIME OF SCHEDULING. ALL CANCELLATION MUST BE MADE NO LESS THAN 24 HOURS IN ADVANCE AND YOUR PREPAID AMOUNT WILL BE REFUNDED (TOTAL - PAYPAL PROCESSING FEE) IN CASE OF A CANCELATION WITH A MINIMUM OF A 24 HOUR NOTICE . 10) WHAT IS THE BEST STRATEGY TO ANSWERING USMLE STEP 1 QUESTIONS? IT'S the BEST USMLE TUTOR'S +++++ AND ----- STRATEGY THAT YOU WILL BE TAUGHT BY Dr. Harish Malik. Visualization of the question stem without any assumptions along with only answering what is being asked in the question and complete understanding and retention of the topics covered during the BEST USMLE TUTOR'S USMLE STEP 1 will hold the KEY to Maximizing your USMLE STEP 1 SCORE. We look forward to working with individual students as well as Medical Schools in achieving high USMLE Step 1 success rate. Welcome to BEST USMLE TUTOR'S ONLINE PERSONALIZED ADAPTIVE ONE-ON-ONE USMLE STEP 1 REVIEW COURSE. Learn using anologies method which we call RLA (REAL LIFE ANALOGIES) which we adapt to your liking. It's the fastest way to build Medical Concepts! For those Medical Students and Doctors who believe that excellent score on USMLE Step 1 is not optional but a necessity for building self confidence and proving to the Residency PGY 1 Selection committee and the Program Director of the Residency Program of your choice that training you will be well worth their time, welcome to the BEST USMLE TUTOR'S PERSONALIZED ADAPTIVE ONE-ON-ONE USMLE STEP 1 REVIEW COURSE where YOU will be a PRIORITY. Are you looking forward to practicing medicine in your desired specialty? If yes then I welcome you to BEST USMLE TUTOR. I will create a study plan and personally guide you throughout your USMLE STEP 1 preparation which will help you achieve your USMLE STEP 1 TARGET SCORE which will give you the confidence and make you a desirable and sought-after candidate for the Residency Programs of your desired Specialty. Medicine is not for everyone, it's really not everyone's cup of tea, but if you have made-up your mind to drink the tea of medicine, then please accept my deepest heartfelt CONGRATS to you for Choosing MEDICINE to be your life! Why do you deserve the BEST USMLE TUTOR'S STEP 1 REVIEW COURSE? Simply because your patients deserve the very best doctor that you can be and to be that doctor you deserve the very best USMLE STEP 1 Mentor that you can find! Previously, USMLE STEP 1 Students at BEST USMLE TUTOR have improved 30 to 50 points above their baseline over a 3 week to 8 week period. BEST USMLE TUTOR'S USMLE STEP 1 REVIEW COURSE IS NOT A GUARANTEED PASS PROGRAM and CAN NOT GUARANTEE A HIGH SCORE ON USMLE STEP 1 BECAUSE WE STRONGLY BELIEVE THAT ONLY PERSON WHO CAN COME CLOSE TO GUARANTEEING THAT IS YOU! WE STRONGLY RECOMMEND THAT YOU STAY AWAY FROM ANY GUARANTEED PASS PROGRAMS FOR USMLE STEP 1 AS YOUR BETTER JUDGMENT SHOULD TELL YOU THAT NOTHING IN LIFE IS GUARANTEED! We strongly believe that one can only improve if one can learn from their mistakes and work hard to make improvements and not repeat them repeatedly...after all the best of the doctors are the ones who learn from their mistakes and improve upon them and not the ones who are success chasers who forget the very essence of being a doctor. All that said, if you have FAILED USMLE STEP 1 previously, we specialize in identifying problem areas and help you identify your weaknesses and strengths and guide you through your next attempt and only if you are someone who can learn from your previous mistakes and implement the changes suggested to you by us like so many of our previous Step 1 students who were able to do well on USMLE Step 1 after failing it before...so can you! Contact BEST USMLE TUTOR today for your USMLE STEP 1 PREPARATION NEEDS. WE ARE THE BEST BECAUSE WE STRIVE IN BRINGING OUT YOUR BEST! 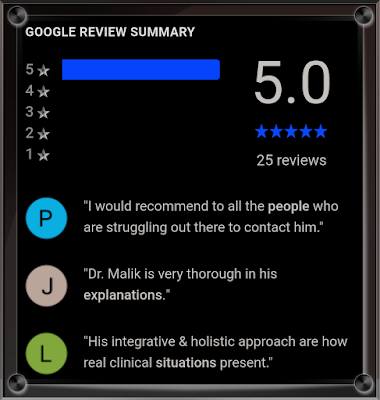 THANK YOU FOR CHOOSING BEST USMLE TUTOR FOR YOUR USMLE STEP 1 NEEDS!